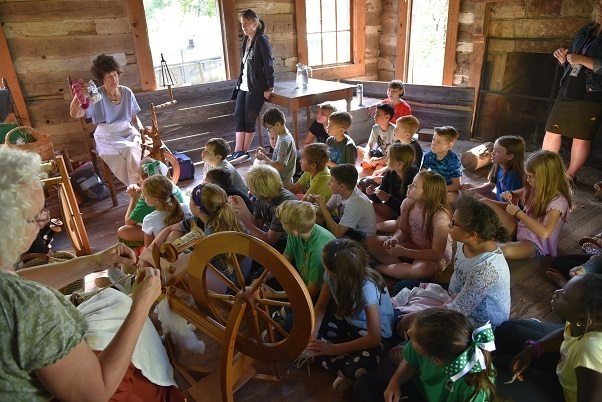 The fourth grade class from Arkansas Arts Academy visited the Shiloh Museum of Ozark History today to participate in the Sheep to Shawl program. Through a series of stations students experienced the process of how wool from sheep is made into fibers to create textiles. 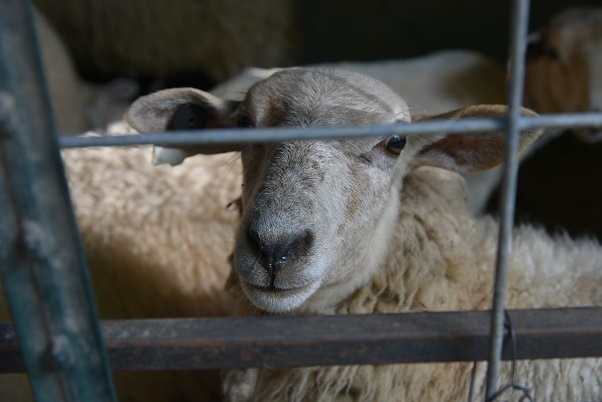 In the first station students watch as a sheep is sheared and learn about the many products from which wool is used. 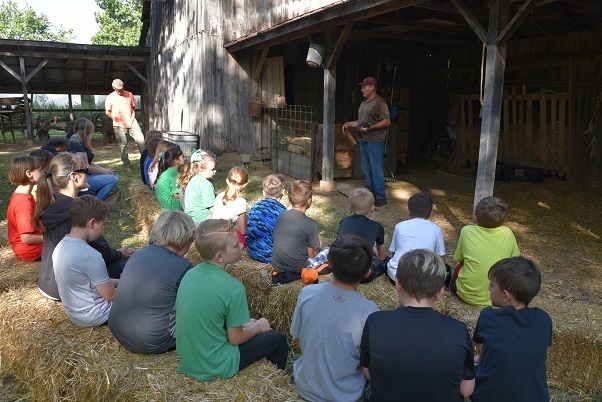 The second station instructed students how the wool is cleaned, carded, dyed and spun to create fibers. 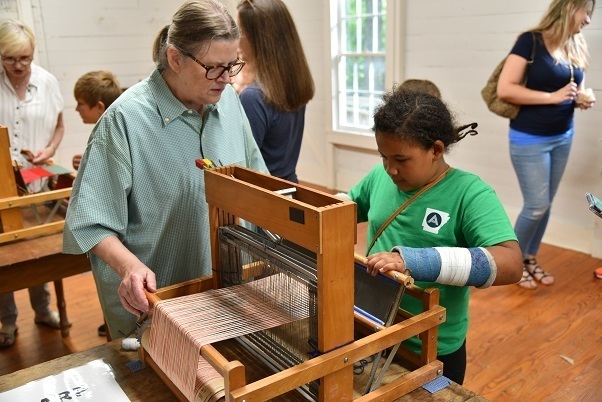 The following station invited students to experience a loom and weave the fibers to create a textile. 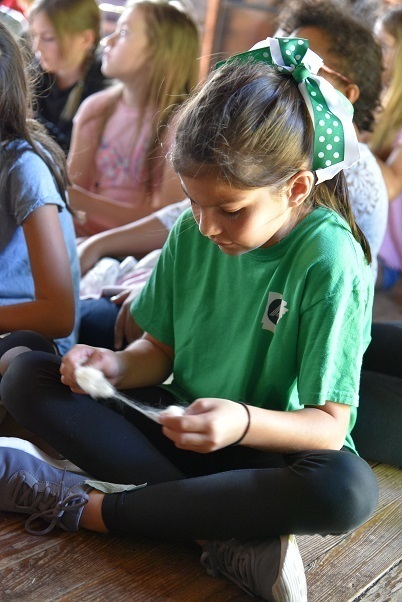 The students were then invited into the Museum to find various objects in the collection that were created through a weaving process.